Collisions on the road are sometimes the result of a brake, engine, or other mechanical failure. 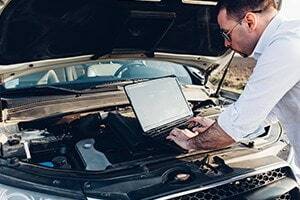 If a malfunction causes a crash, a victim may have a claim against the manufacturer of the defective part or the party responsible for the maintenance of the faulty vehicle. The dedicated car accident attorneys at Frankl & Kominsky are here to provide tenacious representation for injured people throughout South Florida. We are experienced in handling substantial and complex claims, including those caused by manufacturer negligence and defective products. While many car accidents are attributed to driver negligence, others are caused by problems with the internal operation of a vehicle. Mechanical malfunctions may occur when a component fails to work properly and causes a crash. If a brake stops working, for example, the driver may not be able to control the vehicle. The tread on a tire may separate or disintegrate if it is defective. A malfunctioning engine can also turn off suddenly, putting anyone in the car at risk if they are on a busy road. Certain features that are intended to prevent or limit injuries in an accident can also malfunction. Defective airbags, for example, can fail to deploy when needed in a crash. Excessive slack in a seat belt may also be the result of a flaw in the mechanism. If you believe that a mechanical malfunction caused an accident in which you were hurt, you may have a claim against the manufacturer of the car or its components. Under product liability, makers of these parts are responsible for harm that results from defects in their products. A manufacturer may be sued using theories of strict liability, negligence, or breach of warranty, depending on the situation. For example, in strict liability, the manufacturer can be held accountable if its device was unreasonably dangerous to the user, and if it was defective when it left the manufacturer’s control. Manufacturing defects, or flaws that occurred during the assembly of the specific item. A manufacturing defect would typically affect a limited number of vehicles or parts, but not the entire line. Design defects, or faults in the way the item was actually designed. A design defect usually affects an entire product line, rather than just a particular batch of cars or components. Marketing defects, or problems with how the manufacturer communicated the use of the product and its possible dangers to consumers. This is often equated with a failure to warn. You must also draw a causal link between the defect and your injury to successfully assert your right to damages from the manufacturer. In some cases, a mechanical malfunction happens because someone carelessly repaired the vehicle. You may have a claim against a mechanic if this failure to properly maintain your vehicle caused it to break down. You would have to prove that the mechanic was negligent, which means showing that he or she owed you a duty of care, violated the duty, caused your injuries by its breach, and forced you to incur damages as a result. You may be able to recover compensation from the at-fault party if you are successful in your car accident case. Your possible damages include current and future medical bills, lost income, pain and suffering, property damage, and more. Florida injury victims have four years from when an accident occurred to file a claim. If a lawsuit is not brought in time, your right to sue may lapse. At Frankl & Kominsky, we are committed to helping individuals get the compensation they need for serious injuries. Our auto collision lawyers have represented victims in Boynton Beach and surrounding areas, such as West Palm Beach, Palm Beach Gardens, and Coral Springs. With our extensive experience in injury law, we can assess your claim and help you pursue damages against the party responsible for a car crash caused by a mechanical malfunction. Call us today at (855) 800-8000, or contact us through our online form. We speak Spanish and Creole.